You've probably heard over and over again that carbohydrates are perhaps the WORST thing you could eat when trying to lose fat or transform your body, and for most people, that's 100% true. Fact is, due to years of consuming a diet full of processed carbs and sugars, most people have grown quite insensitive to one of the most important hormones in our body—a hormone that can either be a huge asset to your body transformation goals, or a total fat-loss and health-derailing nightmare. The name of this hormone is insulin. And insulin's function is to help your body keep blood sugar at bay, clear it quickly from your bloodstream after a carbohydrate meal, and (hopefully) shuttle that blood sugar to muscle tissue for energy instead of into fat cells (driving up your weight). I say "hopefully" because that's actually the exact opposite of what occurs when most people eat carbs. Going back to insulin sensitivity and carbohydrate tolerance, due to a diet full of processed, insulin- and blood-sugar-spiking carbohydrates, most folks are suffering from some level of insulin resistance, a condition in which insulin is no longer able to efficiently remove blood sugar from the blood stream. The result? Dramatically reduced fat burning, increased blood sugar levels and increased fat storage. Even worse, insulin resistance can and often does lead to type II diabetes and an array of other health problems over time, such as an increased risk for Alzheimer’s and other cognitive disorders, premature aging, heart disease, and even stroke…and it all leads back to insulin sensitivity. 1. Minimum insulin release. This occurs when your body is highly sensitive to insulin. When it is, only a small amount of insulin is necessary to effectively and efficiently clear glucose from your blood to its storage sites. This is great news because your body has an incredibly difficult time burning fat in the presence of insulin. The less insulin you have floating around, the better. 4. Minimum fat storage. When you increase insulin sensitivity, your body will choose to store your carbohydrate intake as energy, again in lean muscle tissue and the liver, instead of body fat. Simply put, your body's ability to process the carbohydrates you eat all comes down to your insulin sensitivity and your body's ability to quickly and efficiently clear sugar from your blood. Knowing that, and also knowing that you yourself are very likely suffering from too much blood sugar and some degree of insulin resistance due to the previously mentioned dietary and lifestyle factors, you’re probably wondering what you can do to improve your insulin sensitivity and make your body responsive once again to this critically important hormone. Find out how Adrenal Fatigue from chronic stress affects your health at CortiSLIM. Margarine was originally manufactured to fatten turkeys. When it killed the turkeys, the people who had put all the money into the research wanted a payback so they put their heads together to figure out what to do with this product to get their money back. It was a white substance with no food appeal so they added the yellow colouring and sold it to people to use in place of butter. 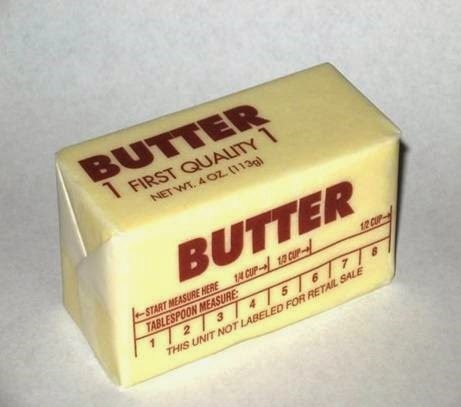 Butter is slightly higher in saturated fats at 8 grams; compared to 5 grams for margarine..
Margarine is but ONE MOLECULE away from being PLASTIC... and shares 27 ingredients with PAINT. These facts alone were enough to have me avoiding margarine for life and anything else that is hydrogenated!!!! (this means hydrogen is added, changing the molecular structure of the substance). * it does not rot or smell differently because it has no nutritional value ; NOTHING will grow on it; even those teeny weeny micro-organisms will not find a home to grow. Why? Because it is nearly plastic . 5 Tips to Super Charge Your Metabolism! Enjoy a protein source with each meal. Don't starve - Dropping your calorie intake below 1,000 calories a day will signal to your body that you are in starvation mode, and will slow down your metabolism. Eat frequently and eat more - Eating smaller meals more often keeps your insulin levels at bay which means that you won't store your food as fat. especially helpful by raising your metabolism all day. Add weight training or progressive resistance exercise that builds muscle for faster results. Muscle burns more calories than fat, and the more muscle you have, the more calories you burn, even at rest! Hydrate yourself - The energy burning process of metabolism needs water to work effectively. Keep drinking 8-10 glasses of water daily. 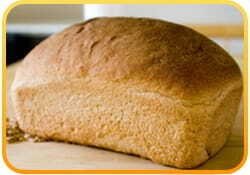 This means that wheat-based foods such as breads, bagels, cereals, muffins, and other baked goods often cause MUCH higher blood sugar levels than most other carbohydrate sources. If you don't believe me, here's something you should know... I ran personal blood sugar tests on myself using a blood glucometer about 45 minutes after eating 2 slices of wheat bread vs eating a bowl of oatmeal, with equivalent grams of carbs. What is this stress hormone, Cortisol anyway? Cortisol is a stress hormone that your body secretes to help your organs function optimally, quickly, and more effectively during periods of stress. This is part of that "fight or flight" response where when stressed, your body thinks it needs to crank up the function of everything including your heart rate to get you out of trouble fast. This worked great when we used to have to run away from predators while out hunting, but unlike our ancestors, we don't need to run away from lions anymore but our body continues to have this response when we are anxious or stressed. Over time, this takes a toll on our body. Nowadays, we are more likely to be running away from office meetings or stressful exams more than anything else but we still have this cortisol response during times of stress; just as when our ancestors needed to run from a predator. The cortisol response was meant for short term bouts of stress. Unfortunately, our modern day lives seem to be fraught with incendiary events that cause long term cortisol secretion instead of the intended short term bouts meant for "fight or flight" away from predators. If your level of cortisol is always relatively elevated because you are always stressed about life events or if you are just overall anxious all the time, our adrenals (which produce cortisol) may become fatigued and adrenal fatigue tends to lead to other issues like hair loss, increased inflammation, insomnia, more anxiety, fatigue, and chronic aches and pains, just to name a few issues. Worsening weight gain, hotflashes and thyroid dysfunction can also be linked to adrenal fatigue. So, if you are concerned about your adrenal function, ask your doctor for a saliva test or a 24-hour urine test for cortisol level to see if you are doing alright or if your function has diminished. If you are noticing more and more belly fat formation and retention, that may also indicate elevated cortisol issues. But in generally, if you are constantly feeling stressed, you can be sure that your adrenals are having to work overtime and your cortisol level is likely unhealthily elevated.